Menorca's holidaymakers describe this island as one of the paradises of the westerly Mediterranean! An island that has always been a popular destination due to its geographical position and has now become one of the most appealing holiday destinations. A multitude of enigmatic historical monuments impress today's Menorca vacationers. The ancient taulas (from 1400 BC), huge T-shaped stone tables, talayots from the Talayotic era, the hypostyloi and the navetas (around 2000 BC), the first dwelling place and later burial place, but also the prehistoric grottos from the era of hunters and gatherers make Menorca an open-air museum and an unforgettable spot for leisure archaeologists. Not only an ideal holiday destination, but also the perfect place to enjoy life to the maximum. 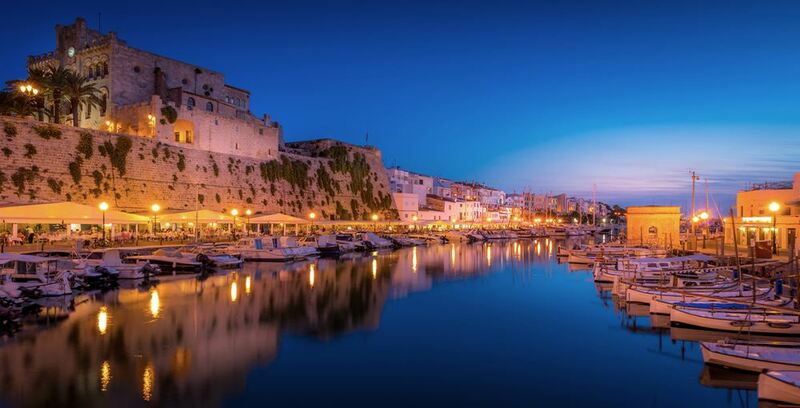 Menorca gives you the quality of life you have always envisioned. Experience the peace, lightness and joy of the locals, not forgetting the great restaurants and the unforgettable beauty of Menorca's countryside and breathtaking white sandy beaches. Among the Balearic Islands, Menorca is the most easterly and northernmost island, classified as a Biosphere Reservation by the World Heritage Organisation in the year 1993. It has a coastal length of 701 km² and 216 kilometres, along which there can be found more than 70 beaches. With a typical Mediterranean climate and an averaging yearly temperature of 16.5 degrees, it currently has 96,000 inhabitants spread over eight quarters - Maó (the island's headquarters), Ciutadella (the former capital), Alaior, Ferreries, Es Mercadal, Es Castell, Sant Lluís and Es Migjorn Gran -. There are three other cities, Sant Climent and Llucmaçanes and Fornells. Maó (east) and Ciutadella (west) are the two most populated cities on the island. From a socio-economic point of view, Menorca, in contrast to the other islands of the Balearic archipelago, has been fortunate over time to keep a perfect balance between the traditional industries of shoemaking, costume jewellery and farming, which has favoured the gentle growth of tourism and has enabled the island to respect its nature and beaches. This environmental awareness is still present in all the inhabitants and ensures an incomparable quality of life, ideal for families. A place like no other!